The market's lightest and smallest ESC, designed specifically for high-level FPV racing. Utilizing the latest BLHeli-S firmware (16.5), hardware PWM generates a signal to boost smoother throttle response and reduce noise. Supports new digital signal: DSHOT, and analog signals: MULTISHOT, ONESHOT42, ONESHOT125. Top quality MOSFET, ceramic capacitors. 3oz high TG PCB board, significantly improves heat dissipation and improves system efficiency. New aluminum heat sink, offers protection from propeller strike damage. Features high-temperature silicone signal cable for wire flexibility and ease of installation. 1. 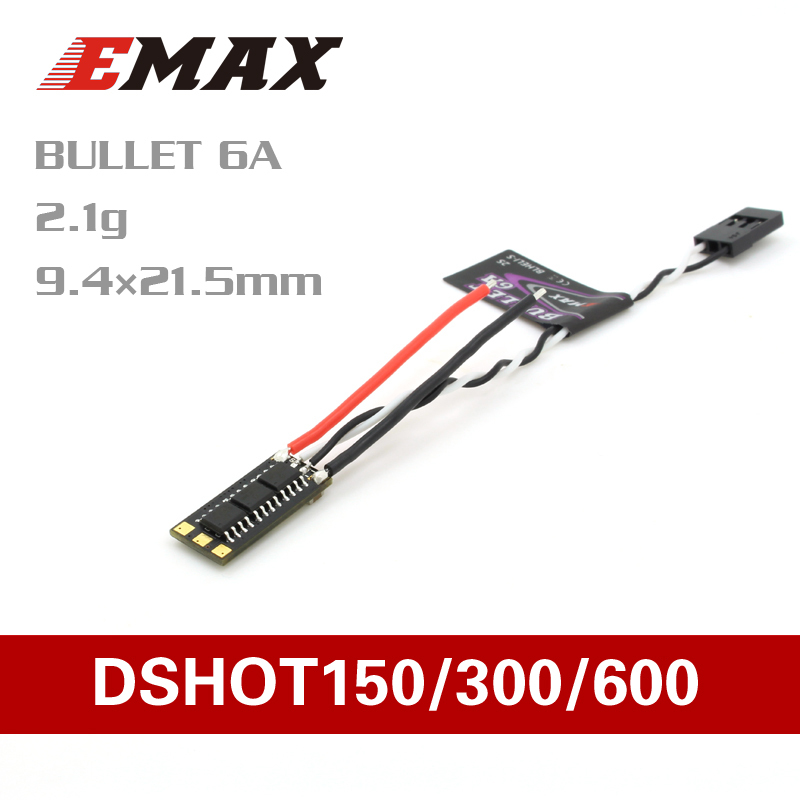 Brand new Bullet Series (purple), super-mini, ultra-light ESC. 2. BLHeli-S firmware/ Supports DSHOT, MULTISHOT, ONESHOT42, ONESHOT125. 3. New heat sink design both effectively reduces the core temperature, and avoids propeller strike damage. 4. Imported MOS tube, Japanese ceramic capacitors, 3oz High-TG PCB board, significantly reduces electrical heat soak and improves system efficiency.